One of the most challenging parts of being a designer is balancing how much ($$$) you believe your creative skills are worth with what clients are willing to pay for your time. Often times designers work (brainstorming/revising) many more hours than they actually bill. The seamless integration of the business process and the creative process can be tricky. Instead of creating a custom logo from scratch, which would take anywhere from 4-6 hours (not including revisions), I’ve started to purchase component pieces from stock image sites and to edit them into something completely new. It ends up taking me half the time to design a logo, with only a small cost to me for the stock image. Working this way, by remixing parts, is more efficient for me as a designer and cheaper for my clients. An added bonus is the gradual accumulation of my own stock image repository. 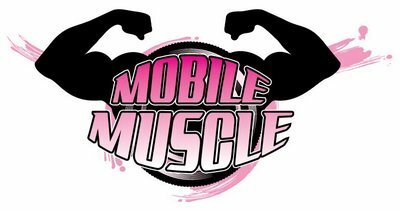 Need: This young up-start company was looking for a logo that would visually communicate their mobile personal training service, geared primarily toward women. I was given no other information and no parameters to constrain my imagination. 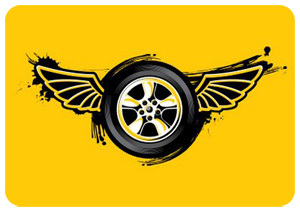 After sketching a crude design on paper, I decided I wanted to create a logo that looked like a tire (mobile) with flexing biceps (muscle). With that idea in mind, I headed to istockphoto.com where I searched images reflective of the two main components: a tire and flexed biceps. That part was easy enough. Below are the two source images I purchased to remix into the logo. I combined what I wanted from each image and added original text created in Illustrator. Below is the end result. The entire process only took about 2 hours. Image Credit: Stock images purchased from http://www.istockphoto.com and repurposed by Emily Wray.